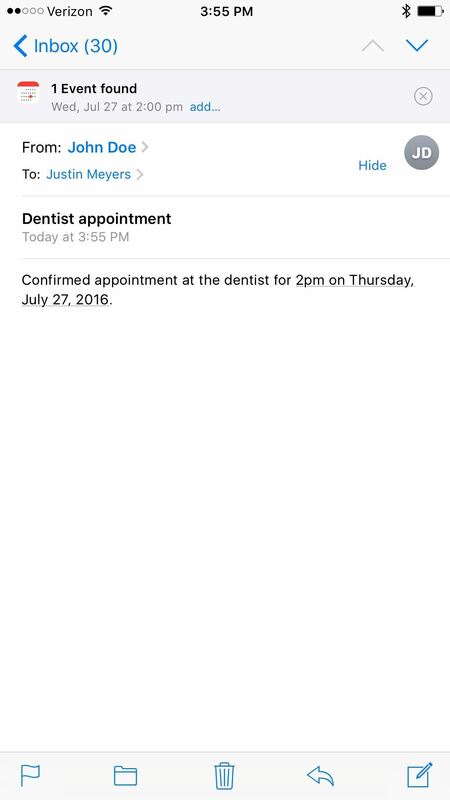 iOS 10's Calendar app comes with a new Found Events feature, which scans Mail and Messages on your iPad, iPhone, or iPod touch for events and lets you add them to your calendar. This one is easy to set up, because it's automatically enabled and on all the time, so you don't have to do anything. Whenever you get a new message with a date, time, and/or place, there will be a note up top asking you to add it. After adding, you can fill in some additional details if necessary, save, then go back to your messages. The popup only seems to show up on new messages, so if it's an old one, you can still touch and hold on the time/date in the message to add the event to the Calendar. 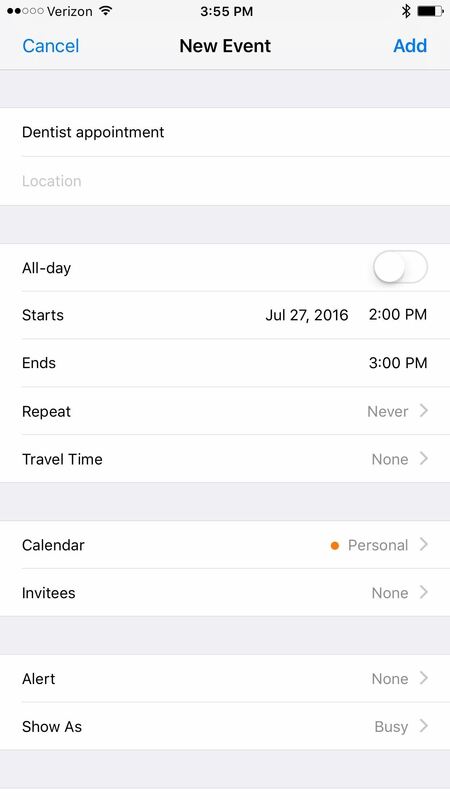 If you want to turn this feature off, go into the Settings app and scroll down to Calendar. At the bottom is a toggle for "Events Found in Apps."